Step 1: Chill a coupe cocktail glass and fill with ice. Step 2: Pour 1.5 oz of Ron Zacapa Rum to your shaker. Step 3: Then add 1.5 oz of acorn squash syrup to your shaker. Step 4: Now pour 0.5 oz of lime juice to your shaker and get ready to shake! Step 5: Double strain your drink into your chilled coupe. Step 6: Top it off with grated nutmeg. This cocktail tastes like a pie. It’s sweet, it’s tart. It’s delicious. The tartness comes from the lime juice and the nutmeg is like the crust of the pie. It’s like the fall/winter version of a key lime pie, but in a glass. So buttery and so yummy! You’re gonna love it. If you’re expecting or wanting the non-alcoholic version of this cocktail, here’s what you need. Step 1: Chill a coupe cocktail glass and fill with ice. Then add 1.5 oz of acorn squash syrup to your shaker. Step 2: Pour 1.5 oz of water to your shaker. Step 3: Now pour 0.5 oz of lime juice to your shaker and get ready to shake! Step 4: Double strain your drink into your chilled coupe. Step 5: Finally top it off with grated nutmeg. Cheers, everyone! Hope you enjoy it as much as I did! 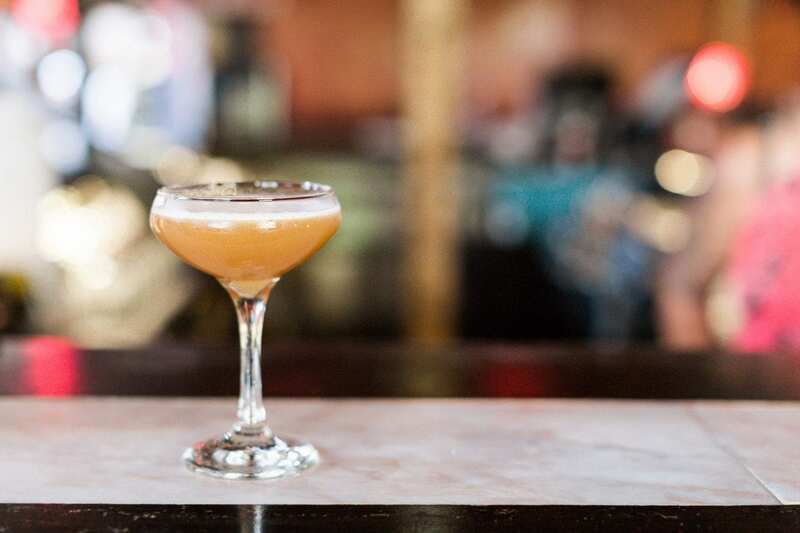 We have partnered with Bar Boheme for the final part of our “Cocktails & Mocktails of the Month” series. The recipes and ingredients are all made in house. We know you’ll love them!